SwipeStats gives students and teachers the ability to capture live tracking data about actions and events in sport. This can be used to provide statistical information that can lead to a wide variety of improvements. The app also encourages young people to participate within a wide variety of other roles around sport to actively engage in activity even if they are not participating. 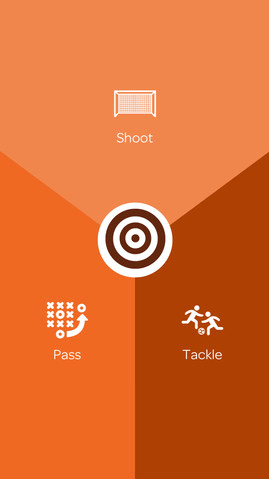 Users can observe a match and capture actions including, number of passes complete, success rate of tackles and other custom actions. A superb FREE app that is a must download. An excellent workout generator with a twist that randomises the exercise process ensuring that you will never know what you are about to do. 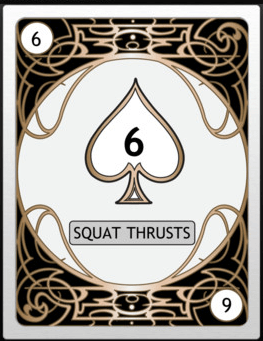 Simply select a workout which is represented as a deck of cards and begin. Once you complete the card, swipe to the right to receive another. Work your way through either a “Half Deck” or “Full Deck” completing the activities as fast as possible. Check out the other top app lists here – Part 1 – Part 2 – Part 3 – Part 4– Part 5 – Part 6 – Part 7 – Part 8 – Part 9 – Part 10 – Part 11 – Part 12 – Part 13 – Part 14 – Part 15 –Part 16 – Part 17 – Part 18 – Part 19 – Part 20 – Part 21 – Part 22 – Part 23 – Part 24 – Part 25 – or grab the PE Apps eBook for a great one stop collection of the best PE apps. Hello my name is Jamie I am a student at the University of South Alabama and im in EDM310 class, which is for students who want to become teachers. It helps students become familiar with using technology. I enjoyed your post very much. I coach high school softball and will be using the Swipestats app to keep up with my players statistical information. I will also be posting a review of this post on my blog at [email protected]. Thank you from a relatively new PE teacher. I have been wanting to incorporate some new things into my classes as well as have a tool that I can use for evaluation and assessment that does not require me to remember the actions of approximately 90 children in the course of 2 hours. I have enjoyed and will continue to enjoy reading the info you post!!! My name is Corey Waldon. I am a student in EDM310 t the University of South Alabama. As an assignment I am to comment on your post. First off I think you have some great apps you use in PE. My favorite app is the PE shake app. I think it is very creative. Keep up the great work.